Yatara Adventure is well known for arranging days hike and walks in your tour itineraries and we are researching more interesting short hike for making your tour more interesting and experiencing tour with your foot to feel more uniqueness of The Land of Thunder Dragon, There are short and a day’s hiking trails in most of the places. 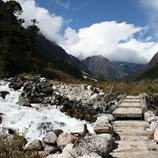 In case you want to walk and experience Bhutan on Foot, but cannot take up the treks, then you can always do a day’s hike. The possibilities of Day hikes range from a few hours to a day’s walk is plenty in Bhutan. The Hiking trails are mostly very comfortable and passes through forested areas with a lot of wilderness around, many chortens(small stupas), Monasteries, clear beautiful lakes, and may even discover your path through a Bhutanese village. Depending on which places you will be touring while in Bhutan, we will adjust and insert the Hike in your Tour Itinerary. Do let us know what you prefer, Trek or Hikes and we will tailor with your preference and liking. • The Famous Taktsang Hike: Takes around 4-5 hours depending on your walking pace.Taktsang Monastery, A bit uphill half the hiking trail but really really worth the walk/hike,when you see the beautiful Taktsang Monastery,also famously known as the Tiger,s Nest. • The Kilu Nunnery Hike: Its half a day’s hike. The Kilu Nunnery overlooks the Paro Villages. 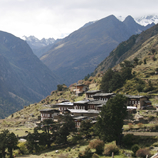 • Lungtsutse Hike: Its takes around 4-5 hours round trip depending on your walking pace. Its a lovely temple situated above the Dochula Stupas. The hike starts from the Dochula Parking Area. The Hike trail is a very comfortable one with very gradual ascend to the Temple. Upon reaching the temple,you will view the spectacular Himalayan Range of Mountains,and the low lying valleys of Punakha and Wangdue. 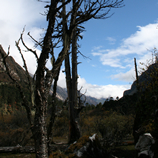 • Tango and Cheri Hike-Thimphu: This is a hike in Thimphu and is a whole one day hike. Most monks and Gurus meditate in these Monasteries. • Phajoding Hike-Thimphu: This is a hike in Thimphu and is a whole one-day hike to the serene temples above the Capital city Thimphu. When you take the Druk Path Trek ,this trek ends its route via Phajoding. • Deodaydrak Hike-Thimphu: This is hike in Thimphu, it is 3 to 4 hours uphill hike to Scared Monastery but few tourists have visit with me, it is unknown to many tour operators. • Khamsum Yuley Temple Hike: This temple was made by Bhutan’s Queen Mother for the present Fifth King of Bhutan,for his long life and good health, Hike in Punakha. This temple hike will take half a day and is beautifully perched on a hill top. The architecture is fully Bhutanese and only Bhutanese Artisans have worked their magic on this uniquely beautiful temple. • Rukubji Hike: Rukubji Hike/walk is a beautiful walk through the remote Rukubji Village in Trongsa. • The Drapham Dzong Hike- This is an ancient Historical and Archeological Site in Bhutan dating back between 1550 to 1700 century, Hike in Bumthang.